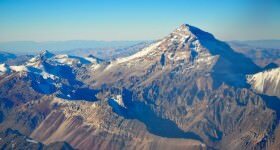 Daniel Neilson continues his series of travel guides about the best outdoor activities in Argentina; see his previous post on climbing Aconcagua. Could there be a better day? An exhilarating few hours whitewater rafting along the mineral blue meltwater of the Andes before pulling over for an asado brimming with meat and a glass brimming with wine, before a gentle meander downstream. I can think of fewer ways I’d rather spend a sunny day in my favourite country. 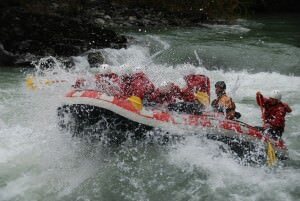 Rafting in Argentina; Photo courtesy of Carlos Lopez Echeto. When Pacahmama (Mother Earth) created Argentina’s geography, or more accurately, its geology, she was in a fun-loving mood (it was probably all that chicha, a heady, and frankly disgusting, alcoholic homebrew made from corn, that is dripped to her in thanksgiving). “Let’s have the world’s grandest waterfalls in the north,” she slurred in a heavy accent. “And then (hiccup), we’ll have all these massive mountains all the way down one side,” she said gesticulating wildly. “And at the bottom, we’ll make it cold, icy and muy bonita. And then, linking it all up we’ll have these burbling, gurgling, furgling [beware: chicha can have you inventing words] rivers. In a couple of millennia,” she continued, “folks are gonna love bombing down them in an inflatable dingy pretending that stabbing the water with a piece of plastic means they’re in control.” With that, she sat back, accepted another glass and asked someone to go out and get her a lifebelt. Argentina, you see, has some of the world’s best whitewater rafting – and almost certainly its most stunning runs. And you can do it in many places: in the fuggy humidity of the red rivers around Iguazu, through the foothills of the Andes around Mendoza, and all across Patagonia and Tierra del Fuego. There are six rivers in Argentina that are particularly renowned for whitewater rafting from a Class II to Class IV. There are no grade V or VI rapids, but these are for very experienced paddlers, and we’re here to have fun, not to get intimate with a riverbed. Nearly all the rivers are best between November and March when the meltwater of the Andes begins its dramatic flow to the seas and lakes. Verdant lakeside forest, surrounded by snow-capped mountains, the Alumine runs through lake country. 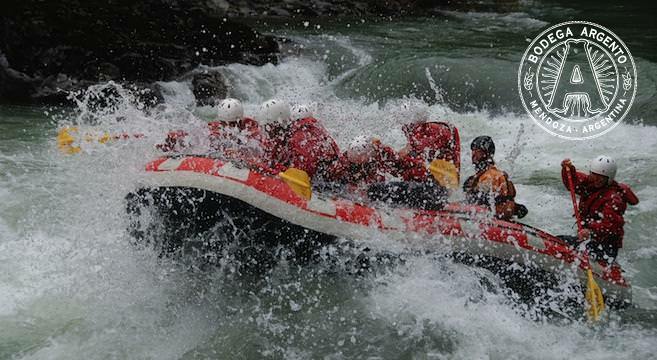 It is one of the best-known places for whitewater rafting on the globe, with Class III and IV rapids. But its variety means that there are more tranquil parts for families. This is the longest river in Argentina – which by law of averages alone means you’re more than likely to get at least some lively water. It is, needless to say, the most diverse river covering three classes of power and an equally diverse landscape starting in the Andes and heading through increasingly deep canyons in the plains. White water rafting from Mendoza is big business. And there are plenty of outfitters, no wonder given the quality of the white water. The meltwater comes straight from the Andes that line the route. It’s highly popular with some good technical sections. The Corcovado is a satisfyingly tricky river that weaves through Patagonia from the towns of Esquel and Trevelin. It’s one of the calmer rivers for whitewater, reaching only class II. At least it leaves a bit of time for swimming and fishing: it’s full of salmon and trout. Running this river begins near one of Patagonia’s most lovely towns: San Martin de los Andes. It continues over a series of rapids and turquoise pools – strengthened by meltwater, and through delightful (and somewhat mystical – if you’re into that sort of thing) forests. This is one of the Andean giants, full of folklore and intrigue. 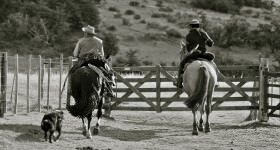 It goes through the otherworldly desert landscape of Salta and Santa Fe, raging through the red soil, sparse mountains and bleakly addictive landscape. Manso may mean calm, but in reality it is anything but. It goes through Nahuel Huapi National Park, the first park in the country, and one of the most popular regions in Patagonia. It’s close to the hub of Bariloche. Among pretty hefty competitions, this is probably the most attractive run, and a bit crazy in places. This looks so fun! I’ve white water rafted in Oregon before and nearly flipped by boat on a tiny rapid…I can’t imagine how I’d do in some of these bigger ones! Thanks so much for the reviews. I will definitely be looking into taking one of these trips.